LAN Associates was founded in 1965 by John A. Lacz, Professional Engineer & Planner. LAN began in Hawthorne, New Jersey with a handful of individuals with John Lacz’s vision to create the most dynamic architectural, engineering, surveying and environmental firm possible. Since that time, LAN has grown to become one of the largest full-service architectural, surveying, engineering and environmental firms in the region, with a staff of over 75 employees. 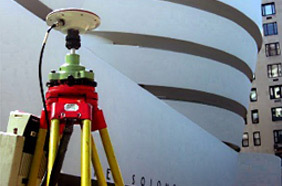 LAN specializes as a NY survey firm, with leading land surveying capabilities. As a primary survey agency, LAN Associates prides itself in providing its clients with superior land surveying services for over fifty years. We believe in the importance of high standard of quality as a NYC Surveyor for all constructed projects including our staff’s skills. As NY surveyors we hire skilled, educated, experienced New York City land surveyor and marine surveyor professionals with a strong work ethic. It is our mission as a New York surveyor to provide our community with sustainable, inspirational and functional solutions that are designed to not only serve our clients current needs but also transcend future land surveying generations. To accomplish our goal we are dedicated to three principles: providing expert services, dedication to our clients, and innovation. LAN’s New York City land surveyor services include topographical and elevation surveys, industrial/commercial surveys, and boundary surveys. LAN also performs construction stakeout and subdivisions. Our land surveyors work in the office and in the field. Out in the field, they use the latest technology such as high order GPS, Robotic Total Stations, and aerial and terrestrial scanners to map an area, making computations and taking photos as evidence. In the office, Surveyors then use Auto-cad to draft plans and map the onsite measurements. Surveyors work on a diverse variety of projects from land subdivision to staking out major construction. They are experts in determining land size and measurement. They also give advice and provide information to guide the work of engineers, architects and developers. We depend on surveying to ensure order in the physical world around us. Surveyors play an integral role in land development, from the planning and design of land subdivisions through to the final construction of roads, utilities and landscaping. Surveyors work closely with their peers in the fields of engineering, architecture, geology and planning. Their role underpins these industries; Surveyors are the first people on any construction site, measuring and mapping the land. These primary measurements are then used by architects to understand and make the most of the unique landscape when designing and also by engineers to plan structures accurately and safely, ensuring buildings not only fit with the landscape but are able to be constructed. LAN Associate’s staff includes in-house, licensed surveyors and field crews to permit us to perform our services without the need to subcontract with a different NY survey firm. We are equipped with state of the art and up to date total stations and Global Position Satellite (GPS) equipment. We take pride in our high order of accuracy along with our quick delivery. Topographic Survey – NJDEP – Belleplain State Park. Also see our NY architectural agency information. 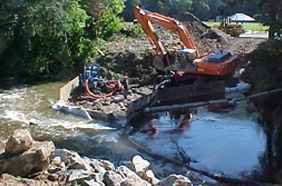 LAN Associates, Engineering, Planning, Architecture, Surveying, Inc.